To determine if there is any evidence to suggest this app would be useful for patients and physicians to use together. Various triggers such as alcohol and menstrual cycles are known to cause migraines. Patients and physicians utilize headache diaries as a tool in understanding the associated events surrounding migraines as well as which medications are most effective for stopping or reducing the episodes. 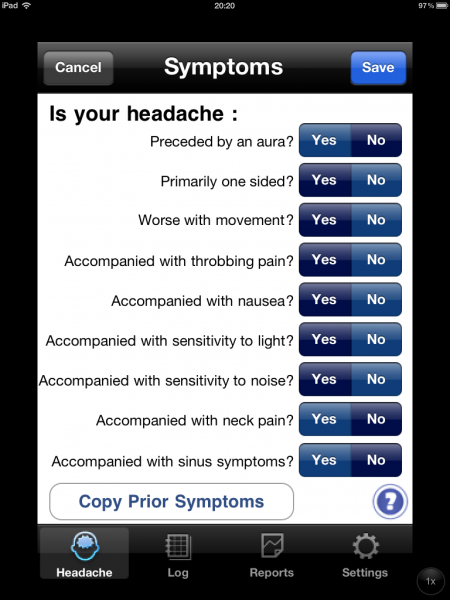 iHeadache was developed by Dr. Brian D. Loftus, a neurologist and researcher interested in assisting communication between patients and their physicians in the diagnoses and treatment of headache. The software is supported by BetterQOL.com, a company whose mission is to provide web-enabled tools for the betterment of patient outcomes.The opening screen is set to the last date where data was entered. 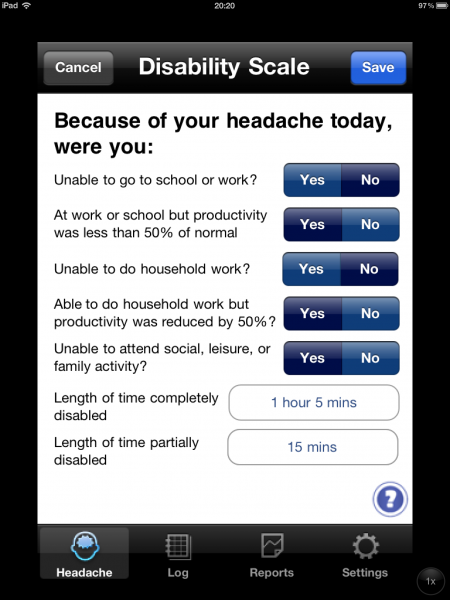 From this screen the user can add data for a new headache or move to housekeeping screens for log or email detail and settings. 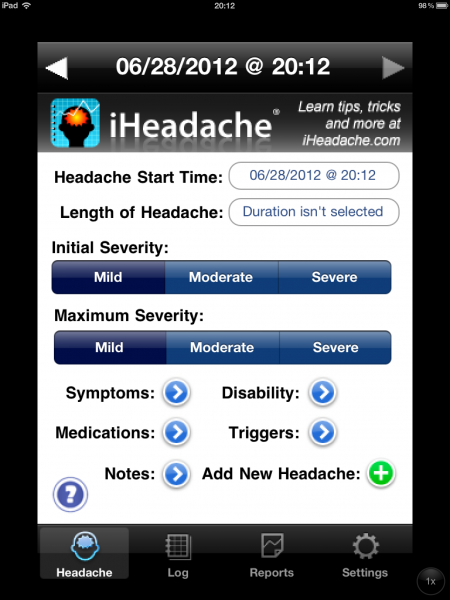 If the iHeadache logo at the top is clicked, the user is taken to the device browser for more detailed information on the iHeadache.com website. 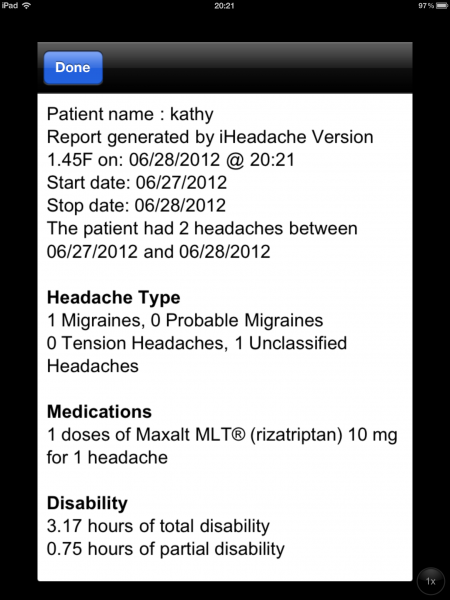 With each headache the user documents symptoms, amount of disability, triggers and medications used. 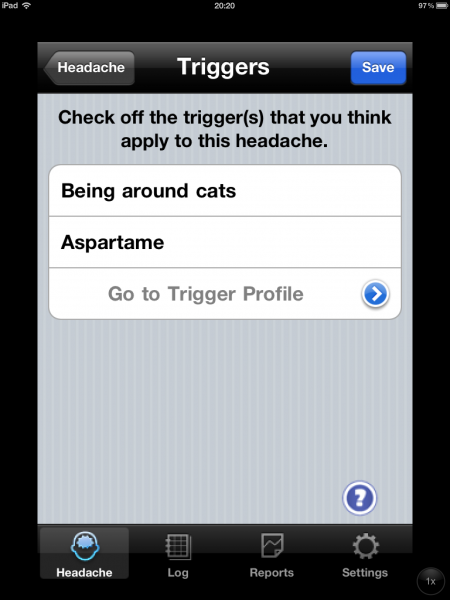 There are multiple triggers pre-loaded but custom triggers can be added, with a maximum of five. 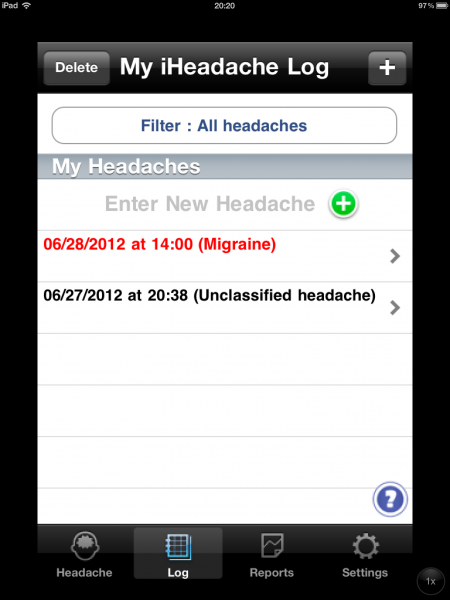 Common migraine medications are pre-loaded into the app but other medications can be added as well. Based on the data input, each headache is classified using the International Headache Society II (IHS) criteria into one of four categories–Migraine, Tension Headache, probably migraine or unclassified.